You'll be £12.99 closer to your next £10.00 credit when you purchase Voices of the Second World War. What's this? 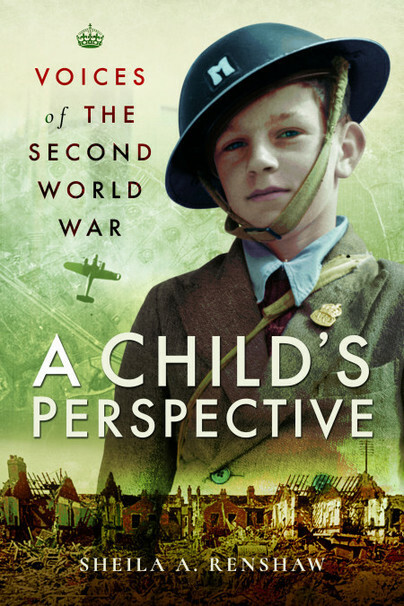 Voices of the Second World War: A Child’s Perspective is a collection of first-hand accounts from people who experienced the Second World War from all over Europe: stretching from Russia to the Channel Islands, and Norway to Malta. While some children appear to have been hardly aware of the war, for those who lived through bombing, occupation, deprivation, starvation and fear, the memories remain with them even today. The accounts have been relayed according to their perspective at the time and the contributors were happy to share their experiences and memories, keen in the knowledge that they were being documented as personal chroniclers of one of the twentieth century's most catastrophic events. Sheila A. Renshaw has compiled a fascinating book featuring more than 25 children from all over Europe and their first-hand accounts of the Second World War. There are nearly 40 authors of this book, 26 of them telling stories mainly of four to six pages, and the rest making shorter contributions, sometimes only a few lines. All were children or teenagers during WW2, ranging from two to seventeen years old at the start of hostilities, living across Europe in Britain, Germany, Russia and elsewhere. By the time they met Sheila Renshaw, they were adults, most living in southern England. Renshaw recorded their stories over several years and decided to publish them before they passed out of living memory. Some stories are commonplace—rationing, gas masks, air raid shelters—and others are eventful and even tragic. All are told in a terse, matter-of-fact style with little dramatisation or comment. They tell us ‘what I did in the war’ but not what it felt to be a child during WW2. Or perhaps that is what they are telling us. Six years is a long time in the life of a child, and most were too young to have remembered peace. War was their normality, and they accepted it as it happened. A fascinating set of youthful accounts. I found the book so compelling that I read it in one sitting. It's essential for anybody researching this period - particularly those who didn't pay enough attention to the stories of their grandparents. ★★★★★ Amazing book, so interesting to hear of war time experiences through the eyes of children, especially when one of them is my late Auntie. I thoroughly recommend this to everyone. Read it for: An interesting collection of memories from the generation which grew up during WW2. Sheila Renshaw grew up in an RAF family and the joined the WRAF after leaving school, later receiving a commission and marrying an RAF pilot. She travelled extensively with the services and brought up a family of two daughters.